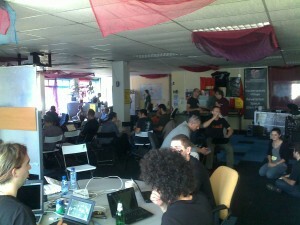 The European GNU Hackers meeting took place this weekend in the Hague. 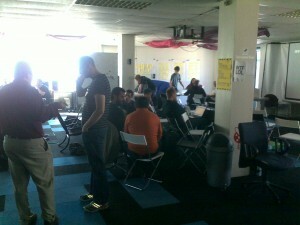 Two days of talks about GNU projects, nearly 50 hackers, prodigiuous amounts of coffee, and exotic food. All followed by two days of coding for those who stayed on Monday and Tuesday. Thanks to Andy Wingo of GNU Guile for organising it (and having the supernatural ability to walk into a restaurant and get a table for 40 people) and the Revelation Hackspace of Den Haag for the great venue. Are you working on GNU software or related projects, like gNewSense, and want to come to future meetings? 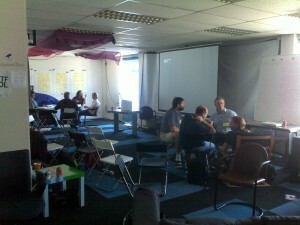 News about GNU meetings is posted on the GHM rss feed and syndicated on Planet GNU. Check out Neal Walfield’s blog for the “official” group photo.